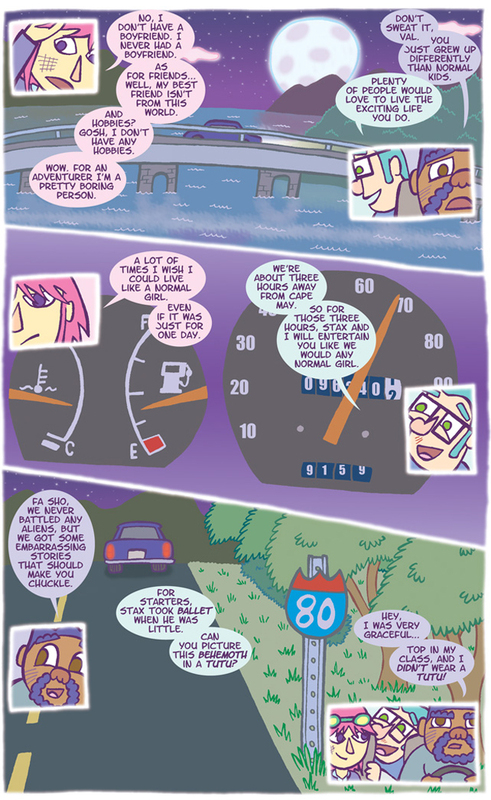 That was the actual mileage on my car when I colored this page. Don’t worry about it, Stax. I took ballet, too. Not for long, though. I was a gymnast when I was a preteen. My claim to fame is being the 1991 New Jersey State Pommel Horse Champion. The coaches had a ballet instructor come in to help us with our balance. The team disliked it very much. We didn’t wear tutus, either. The next page is a fun one. We learn more about Stax and Lincoln’s past.